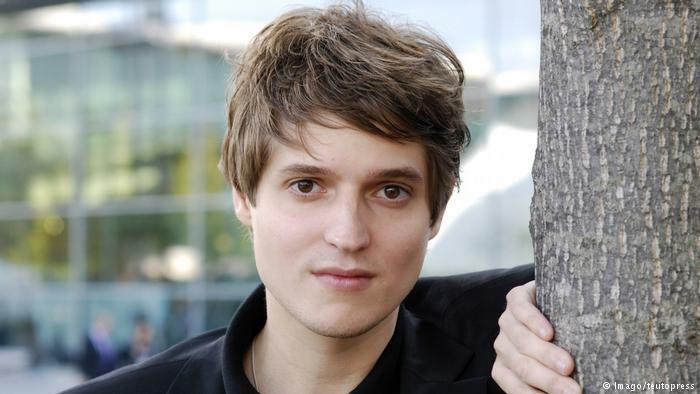 German novelist Benedict Wells captured the hearts of readers across Europe in 2016 when his captivating novel, The End of Loneliness, was released. It was on Germany's bestseller list for over eighty weeks and it won the prestigious European Union Prize for Literature and was selected as German independent bookstores' favorite book of 2016. Since then, it has been translated into 27 languages, and it is now available in America. This story is brought to life through the exquisite translation of Charlotte Collins, a 2016 Man Booker shortlist nominee. 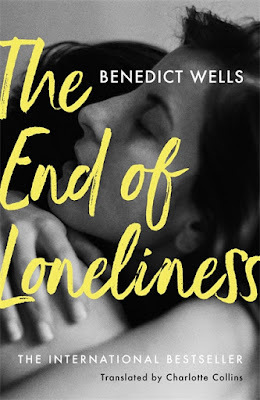 The End of Loneliness is a profoundly moving portrait of what can be lost and what can never be let go. At eleven years old, Jules Moreau loses his parents in a tragic accident, and in an instant, his childhood is shattered. Jules and his siblings, Marty and Liz, are then enrolled in a bleak boarding school, where the trio begin to drift away from each other. Jules turns inward, becoming a ghost of his former self. Then he meets Alva, a shy, intelligent, and enigmatic girl concealing a dark childhood of her own. As their friendship blooms, Jules slowly comes out of his shell, but eight years later, when their relationship is on the verge of turning into something more, Alva abruptly turns her back, and the two part ways. The Moreau siblings struggle to move on from the trauma of their childhood as they enter adulthood. Jules is adrift and directionles and adrift as a young man, who longs to have Alva in his life again. It isn't until Liz hits rock bottom that the three siblings finally find their footing as a family, and Jules musters the nerve to reach out to Alva after more than a decade of silence. Then, just as life begins to fall into place, it seems that Jules and Alva can make up for time wasted, the past catches up with them, and once again, life intervenes. Wells, with inimitable compassion and luminous prose, contends with what it means to find a way through life after loss. Readers will recognize themselves in the honest humanity of Jules and his siblings as they recognize with their grief and search for direction, eventually finding comfort in one another. The starting point of his novel and the main topics: The End of Loneliness is about three siblings living a loving and protected childhood. You clearly can see the sort of person they will each grow into later in life, each has their own role. Then, suddenly, their parents die in an accident and everything changes. the children are sent to a boarding school, where they become very different characters. The novel explores the thirty years following the accident, how the siblings have to deal with this catastrophe, how they try to overcome it, grow up and - for some - become parents themselves. The main topic of the book is this: Of course one changes after a horrible incident such as the death of your parents or other heavy experiences, but the question is, What is not changing it? Is there something unchangeable in each of us? And if you lose something from yourself throughout your life, can you get it back? On what compelled him to write this book: In the novel is the line: "There were things I couldn't say; I could only write them. Because when I spoke, I thought; and when I wrote, I felt." Like many others, I'm a different person when I meet with friends or when I'm in public. But there is also the rather melancholic me who is often along and writing books. I finally wanted to write something that is about the side of me that usually hides and that I cannot explain when I'm with other people. I wanted to share feelings from deep inside, and the book is the radio frequency for it. The biggest similarity is that I was in state boarding school from a young age. But my experience was very different. I was six years old when I came to my first boarding school. One parent was ill and couldn't take care of me, the other one was self-employed and in financial trouble, so this was the best solution. And since I never knew anything else, I couldn't miss it. In the end I spent thirteen years in three different state boarding schools - which is maybe something like a record - so it felt like a second home to me. The siblings in the novel on the contrary had a life before, a perfect childhood with their parents, and in one day they lost everything they had. That is much harder. On how he views solitude and loneliness: I wouldn't say that solitude is a bad thing; it can also be used as a compass. I remember my first years as a writer: After high school I moved to Berlin and lived in a lousy single-room-apartment with no heating and the shower in the kitchen, and for the next four years I worked during the day at several jobs and wrote at night. But my writing was only getting rejections, and since I had decided to not study at a university, I was mostly alone. So when I finally was published, I first felt very happy. On the surface my life was suddenly brilliant; I went on a reading tour, all my dreams came true. But I still felt lonely, that feeling just didn't disappear. So I made several decisions, and one of them was to postpone my next book and move to Barcelona. This was probably one of the best decisions of my life, these years in Spain with my friends and flatmates saved me - and loneliness was the reason and the trigger to do it. So I think that while there is not an end of loneliness at all, you can change your attitude towards it. Wells has said in interviews that he worked on this novel for seven years, and he said of the process of writing it: When I started the novel I failed in many ways - the first three or four years were a disaster. I always had these colorful, wordless pictures and emotions in my mind, but translated into words and black and white it never felt the same - the usual problem with writing. Each book needs its time until the "translator" between my head and the typing hands has learned what to do. Another difficulty is I'm telling a story that covers more than thirty years, but I wanted the novel to be as tight and exciting as possible. So, what can you leave out and what needs to stay? Which perspective is the best? I thought about every single cut and leap in the story. And I also worked a lot on the language. In the end I wrote ten drafts, and with each draft I understood better what I wanted and what I didn't. Of course, the novel is not perfect and not for everybody, but now I know at least why every scene and line is in the book. So, seven years was maybe a lot, but I wanted to take all the time I needed to write the book as best I could.